International Environmental Governance is the elixir of many international environmental law and transnational law scholars. Lawyers believe that if we take a pinch of policy and combine it with enforcement resources sufficient to ensure longterm compliance, then we will break through the cognitive dissonance of consumers, the bipartisanship of the democratic process, and the evasiveness of corporations. Yet, as experience demonstrates, there is no magic formula. Rather, systems of environmental governance provide only partial solutions, because natural and social systems behave in non-linear ways. The Natural Resource and Environmental Law Programs at my home institution, the University of Idaho College of Law, recently hosted a scholarly roundtable in Coeur D’Alene in order to discuss partial solutions. (credit for above left photo, on the Programs' website, of mountain lake) The roundtable, entitled Crossing Governance Gaps to Protect the Environment, produced interdisciplinary chemistry, with participants bringing expertise in political science, economics, international relations, international law and environmental law to the table. IntLawGrrls' very own Rebecca Bratspies (right) was among those who participated. ► A reflection on the other themes, asking in particular how the U.N. Environmental Programme should be reformed to make it a more effective institution for international environmental governance. UNEP reform has been an issue of chronic concern. In 2009, German Chancellor Angela Merkel and French President Nicholas Sarkozy wrote to U.N. Secretary-General Ban Ki-Moon, stating that UN “environmental governance must be overhauled." The roundtable generated interesting reflections on the political calls for UNEP reform. In the past decade, whenever UNEP and governance reform came up together in a conversation, there usually has been some discussion of the proposed creation of a World Environmental Organization, which would rival the World Trade Organization in influence. States, with the exception of Germany and France, have shown little political enthusiasm for this approach. Roundtable participants Dan Bodansky (Arizona State) and Ben Cashore (Yale) cautioned that any reform requires careful diagnosis of what the problems are that a given institution is attempting to resolve. Introducing a World Environmental Organization, they said, would not resolve the problems at the core of today’s environmental degradation unless such an organization catalyzes social change. Peter Haas (Massachusetts) suggested that UNEP has been a victim of its own success because it has already done more than was expected of it when it was formed during the Stockholm Convention. Meanwhile, Ken Abbott (Arizona State) stated that UNEP in its current form is already operating as a potent social orchestrator, by partnering with both nongovernmental organizations and corporations in order to create indirect governance strategies separate from States, such as the UNEP Financial Initiative. Cashore further suggested that perhaps the international system would benefit from a tripartite neutral institution that would include state representatives, corporate partners, and civil society partners. I have one less revolutionary idea. It has already shown limited promise in the context of the UNEP Regional Seas programs, which have looked at specific environmental problems in limited geographical regions. My proposal is for UNEP to adopt the same model of decisionmaking as the World Health Organization; that is, to establish numerous autonomous regional committees that define environmental problems and set policy priorities under regional directors. 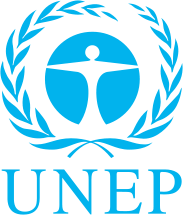 UNEP already has existing regional offices in Africa (Addis Ababa), Asia and the Pacific (Beijing), Europe (Brussels, Moscow, and Vienna), Latin America and the Caribbean (Brazil), North America (New York), and West Asia (Cairo). These offices could be reconfigured as the headquarters of regional environmental committees in order both to reflect existing geopolitical cooperative alliances and to set specific regional policies for the members of the committee. Additional regional offices could be opened to represent the specific geographical alliances, such as South Asia or Southeast Asia. Each regional committee would focus on those issues that are most pressing for its region and for which the regional committee members are most likely to be able to gain national traction when members seek domestic implementation of internationally negotiated policies. While there could be danger in creating multiple regional policies that are not necessarily harmonized around global understandings of science, there is also the possibility of regionalization generating immediate policy responses from like-minded and potentially similarly governed States. Under regionalization, some States may be willing to make environmental concessions with regional allies that they would be unwilling to make with global political or economic rivals. UNEP regionalization could promote the powers of minilateralism. If you are working in any of these areas and would like to share papers with a multidisciplinary group of scholars working on them, please contact me at atelesetsky@uidaho.edu, and I will add you to our distribution list.